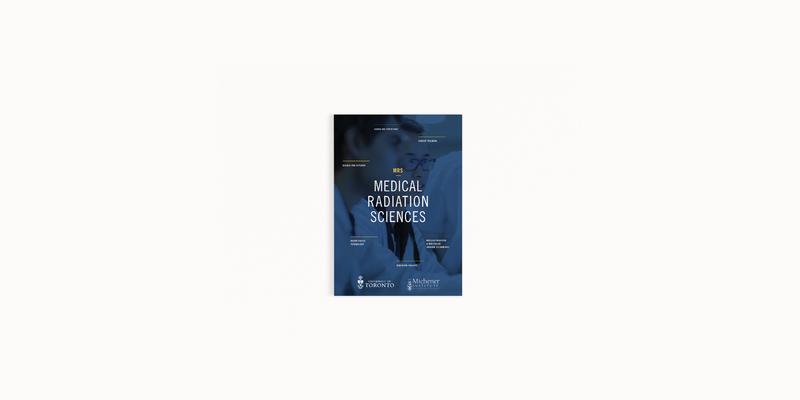 The Medical Radiation Sciences (MRS) program combines the strengths of two institutions, The Michener Institute for Applied Health Sciences and the Department of Radiation Oncology in the Faculty of Medicine at the University of Toronto. This collaboration provides students a BSc Degree (U of T) an Advanced Diploma in Health Sciences and clinical experience in three medical radiation science disciplines. The viewbook and support materials promote the achievements and advance the success of the program, and adhere to both the Michener and U of T brand standards while establishing a unique look for the program.